As part of Watershed, a multi-disciplinary program that "enmeshes arts and science," Atul Bhalla's presents You always step into the same river: Looking for lost water (Explorations at the Cradle). Fully utilizing the echo-y atmosphere of the Atrium in The Chamber of Mines Building, Bhalla's installation combines photographs, performative photographs, video with sculptural and textual interventions, and performances. Bhalla has been involved in projects which highlight the use/misuse of water as well as its religious and mythical significance in his hometown of New Delhi. 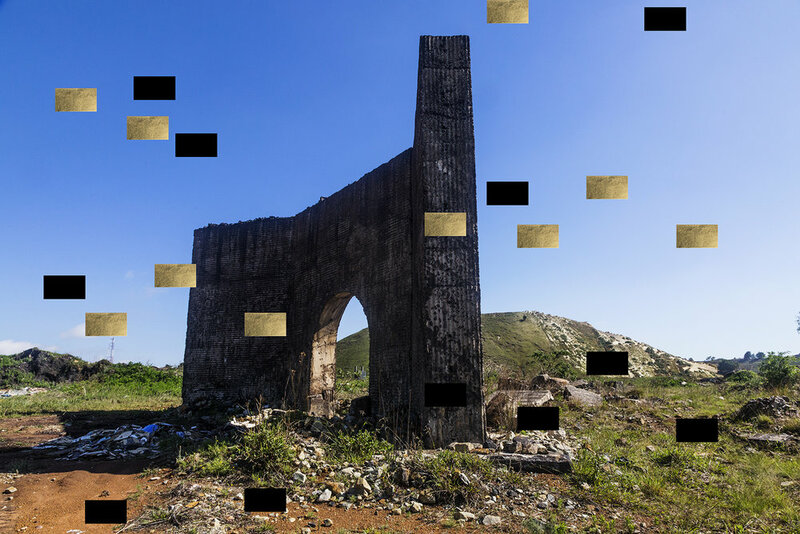 His work for Watershed will examine water as a repository of history, meaning and myth within the context of Johannesburg gold mining, taking references of land and water relations from historical (oral and non-oral) contexts. “I’ll also attempt to explore how people live and survive in and around the dumps, developing local language/s and words for operations and acts that may not have existed pre-mining days. I intend to use Zulu as the language of communication within the work,” says Bhalla.